Nelson Mandela, the iconic political prisoner who became president of post-apartheid South Africa, died Thursday at his home in South Africa after several months of ongoing health problems. He was 95. The struggle is my life. I will continue fighting for freedom until the end of my days. 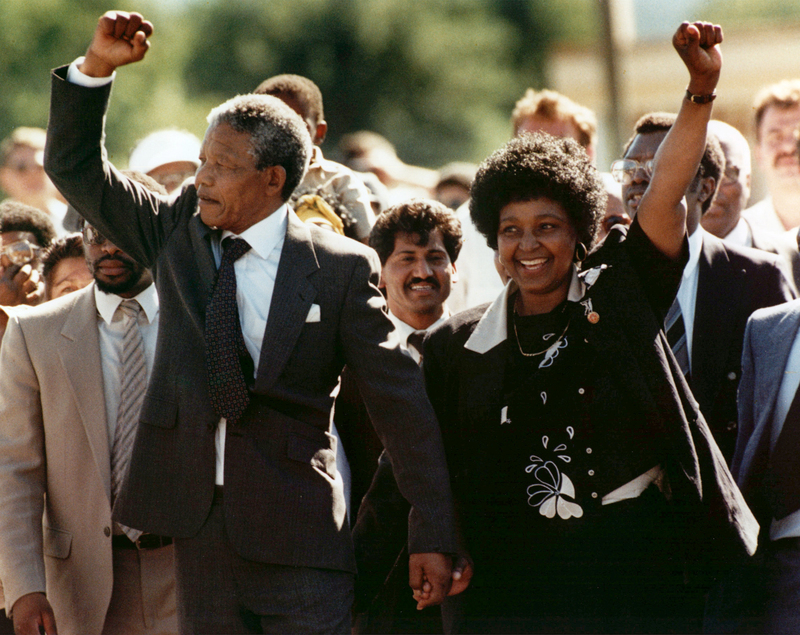 Who did Mandela leave his $4.1M estate to? There are many people who feel that it is useless and futile for us to continue talking peace and non-violence — against a government whose only reply is savage attacks on an unarmed and defenseless people. And I think the time has come for us to consider, in the light of our experiences at this day at home, whether the methods which we have applied so far are adequate. I stand here before you not as a prophet but as a humble servant of you, the people. Your tireless and heroic sacrifices have made it possible for me to be here today. I therefore place the remaining years of my life in your hands… Our march to freedom is irreversible. We must not allow fear to stand in our way. We speak here of the challenge of the dichotomies of war and peace, violence and non-violence, racism and human dignity, oppression and repression and liberty and human rights, poverty and freedom from want. We stand here today as nothing more than a representative of the millions of our people who dared to rise up against a social system whose very essence is war, violence, racism, oppression, repression and the impoverishment of an entire people. Today we are entering a new era for our country and its people. Today we celebrate not the victory of a party, but a victory for all the people of South Africa… The task at hand on will not be easy. But you have mandated us to change South Africa from a country in which the majority lived with little hope, to one in which they can live and work with dignity, with a sense of self-esteem and confidence in the future. Out of the experience of an extraordinary human disaster that lasted too long, must be born a society of which all humanity will be proud… The time for the healing of the wounds has come. The moment to bridge the chasms that divide us has come. The time to build is upon us. The United States has made serious mistakes in the conduct of its foreign affairs, which have had unfortunate repercussions long after the decisions were taken… If you look at those matters, you will come to the conclusion that the attitude of the United States of America is a threat to world peace.